Dore is the host of HBO Canada’s Funny as Hell, a series showcasing bold and uncensored comedy from the fastest rising comedians at the Just for Laughs Festival, currently shooting its fourth season. TV Guide Canada called Dore one of the “rising stars of the future” and Toronto weekly NOW Magazine named him Best Male Stand-up. 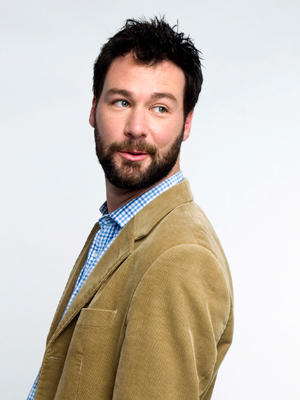 He is the recipient of five Canadian Comedy Awards including: Best Male Performance in a Feature (2014) for Stag; Best Taped Live Performance (2010) for Just for Laughs; Best Performance by a Male in a Television Show (2009) for The Jon Dore Television Show; Best Writing on a Series (2008) for The Jon Dore Television Show; and Best Stand-up Newcomer (2006). He is also a two-time Gemini nominee (2008 & 2009) for Best Individual Performance in a Comedy Program or Series for The Jon Dore Television Show.